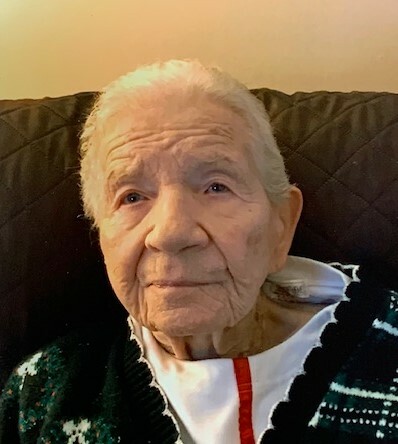 Youngstown - Angeline Terletsky, 95, passed away Thursday, February 7, 2019 with her family by her side. Angeline, affectionally known as Ang was born December 26, 1923 in Youngstown, a daughter of Emilio and Elvira (Tisone)Belline. Ang was a 1941 graduate of East High School. She was a homemaker and loved to cook for family and friends. Ang’s true passion was going to her grandkids sporting events and activities. She also enjoyed playing Bingo. She is survived by her husband of 73 years, Peter Terletsky of Youngstown, whom she married June 23, 1945; two daughters, Elvira Terletsky of Youngstown and Patricia (Tim) Morrow of Struthers; and two grandchildren, Shannon (fiancé Anthony Gallo) Morrow and Timothy Morrow. Besides her parents, Ang was preceded in death by two sisters, Irene Froslear and Rose Pluchinsky; and one brother, Anthony Belline. To view this obituary or send condolences please visit www.starkmemorial.com.